In 1930 the Toledo Museum of Art played a critical role in popularizing modern Japanese woodblock prints in North America by organizing the largest exhibition ever devoted to the movement and producing an authoritative catalog to accompany it on its nationwide tour of 10 museums. Installed in four special exhibition galleries with works that spanned a decade, the landmark 1930 show presented 343 prints by 10 leading artists of the shin hanga (“new prints”) movement. Fresh Impressions: Early Modern Japanese Prints reassembles and revisits that historic exhibition. The Museum has also produced a major catalog in conjunction with the show that for the first time reproduces all 343 prints together in full color. The exhibition, organized by the Museum’s chief curator and curator of Asian art, Carolyn Putney, runs through Jan. 1, 2014. 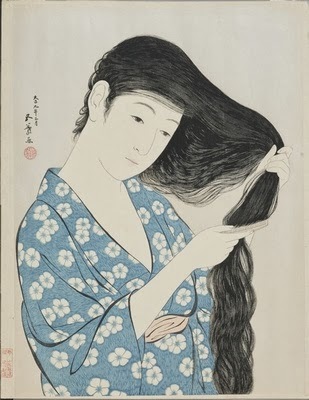 Woman Combing Her Hair (Kami sukeru onna), March 1920. 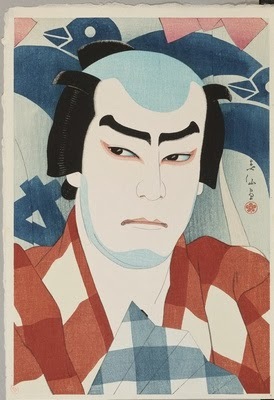 Actor Jitsukawa Yenjaku as Danshichi, 1926. 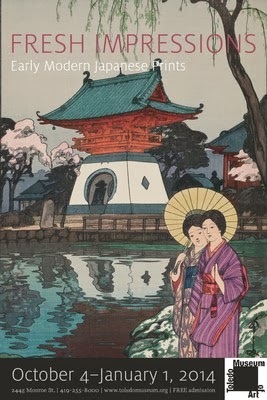 The shin hanga movement began in Japan around 1915 and is noted for combining traditional Japanese woodblock technique with an interest in Western aesthetics and a vivid, modern color sensibility. The new exhibition underlines the importance of the early 20th-century resurgence of Japanese woodblock printmaking, which has been described as “a period of Renaissance” in the field. The prints encompass a variety of subject matter, including traditional landscapes, seascapes, rivers and lakes, beautiful women (bijinga), actors (yakusha-e), the natural world and wildlife, cities and towns and temples, as well as Western-inspired still life and genre scenes. 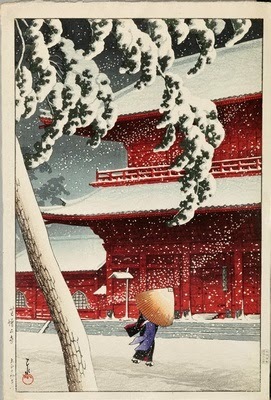 Zojoji in Snow (Shiba Zojoji), 1925. The 10 artists in the exhibition are Hashiguchi Goyō (1880–1921), Itō Shinsui (1898–1972), Kawase Hasui (1883–1957), Miki Suizan (1887–1957), Natori Shunsen (1886–1960), Oda Kazuma (1882–1956), Ohara Shōson, also known as Ohara Kōson (1877–1945), Yamamura Toyonari, also known as Yamamura Kōka (1885–1942), Hiroshi Yoshida (1876–1950) and Yoshikawa Kanpō (1894–1979). All but five of the 343 prints are now in the Museum’s collection. Most of these were purchased around the time of the original show and donated to the Museum in 1939 by local businessman and print collector Hubert D. Bennett. (The Museum is borrowing the additional five prints.) The Toledo Museum of Art’s collection of shin hanga is considered to be one of the finest in any museum in the country. The prints have only rarely been out of storage since the 1930s and as a result are in pristine condition. In addition to the 343 woodblock prints, the exhibition will present companion objects depicted in the prints—such as kimonos, netsuke and samurai swords and armor—not included in the original 1930 show. A companion exhibition, Ebb and Flow: Cross-Cultural Prints, in the Works on Paper Gallery, covers the period from the 1930s to the present and explores the global influence of these modern Japanese printmakers. 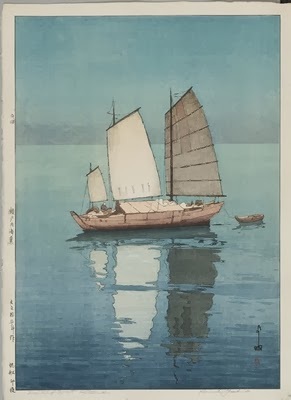 Sailing Boats, Afternoon (Hansen, Gogo), from the Inland Sea Series (Seto-Naikai Shu), 1926. Shin hanga was introduced to the American public in the 1920s through several smaller exhibitions organized to benefit artists affected by the Great Kantō earthquake of 1923. But it was not until the Toledo Museum of Art’s 1930 show, A Special Exhibition of Modern Japanese Prints—co-organized by Toledo curators J. Arthur MacLean (1879–1964) and Dorothy L. Blair (1890–1989), in collaboration with shin hanga artist Yoshida—that the movement’s scope was fully grasped and examined. The original catalog, which was fully illustrated in black-and-white and featured artist biographies, signatures and seals, became an invaluable resource on the work of modern Japanese printmakers for scholars and enthusiasts; it was reprinted and sold out twice. 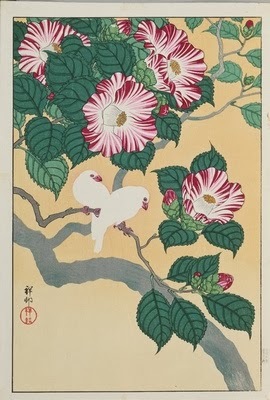 Camelia and Rice Birds (Tsubaki ni Shiro Buncho), 1929. Blair, the subject of Putney’s essay in the new catalog, was a pioneering authority on Asian art and culture in a field dominated by men. In 1927 she spent a year studying in Japan at Kyoto Imperial University—the first woman and first foreigner accorded that privileged status. She became assistant curator at the Toledo Museum of Art in 1928, after stints at several other noted museums, including the Cleveland Museum of Art and the Art Institute of Chicago. The 352-page catalog accompanying Fresh Impressions, with essays by Putney, scholars Kendall H. Brown and Koyama Shukō and artist Paul Binnie, was published with the assistance of The Andrew W. Mellon Foundation and the E. Rhodes and Leona B. Carpenter Foundation.